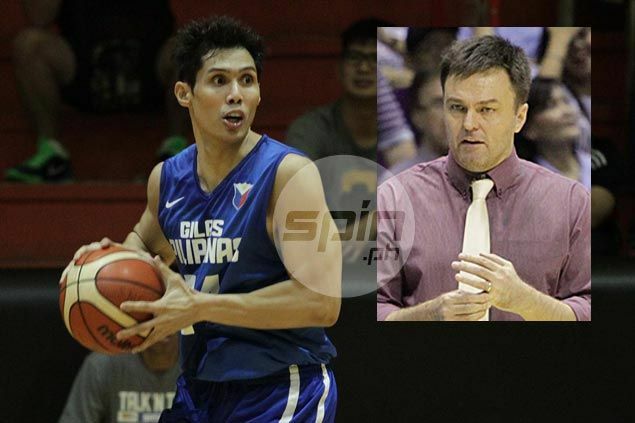 WHEN Dondon Hontiveros was lighting it up in overtime with three big three-pointers against New Zealand in the 37th Jones Cup last week in Taipei, Alex Compton was hands down the proudest man on the Gilas Pilipinas bench. "It was unbelievable the shots he was making," Compton said. That usually wasn't the case. In fact, long before they became player and coach both with Alaska and Gilas, there was a time when Compton's job was to stop Hontiveros, or, at the very least, match him point for point. Take Game Five of the 1999 Finals of the defunct Metropolitan Basketball Association (MBA) for example - a classic, three-overtime match at steamy Cebu Coliseum that saw Compton, then with the Manila Stars, score 39 points and Hontiveros pump in 45 for the Cebu Gems. "That was the most exciting game I've ever been a part of," Compton, an American born in the Philippines who was given a special exemption to play in the MBA, remembered. "You know why Dondon got hot against New Zealand? He just looked over at me and remembered my face while (he was) lighting me up in that (MBA) game," added Compton in his usual, self-depracating way. Compton and the Manila Metrostars, with help from Romel Adducul who Compton remembered had 32 points and 18 rebounds, won that away game and went on to clinch their only MBA title in Game Six at home. Compton was eventually named MVP. The Alaska head coach no longer remembered the score or details of the title-clinching Game Six win, but he still vividly remembers how hot he and Dondon were in that epic Game Five. "It was a crazy game," he said. "Dondon and I each had six or seven three-pointers. It was in Cebu and the coliseum was jampacked. It was Game Five of the finas and it was tied 2-2 at that point." Hontiveros' 45 points, Compton added, can't be blamed entirely on him. "It's not all on me because Dondon scored like 20 on me in the first quarter and (Manila head coach Louie Alas) took me off him," he laughed. Hontiveros, who said in previous interviews that his time with the Cebu Gems in the MBA were the 'best days' of his career, and Compton exchanged jerseys at midcourt after the game. Three years older than Hontiveros but long retired, Compton never ceases to be amazed to see his Alaska veteran still lighting it up both for the Aces and the national team at his age. "It's amazing for me what he's doing at 38. It looks like he hasn't missed a step, you know," said Compton, recalling Dondon's 11 points in overtime in the 92-88 comeback win against New Zealand. "Usually if you score 11 points in overtime as a team, you're doing a pretty good job. He had 11 points by himself." But Hontiveros is more than just about scoring, he added. "Having a veteran leader like that, with all his experience, and he still has a tremendous work ethic, and he's a vocal leader. He brings a lot more than shooting the ball," Compton said. "Take that New Zealand game. He really did a nice job defensively on an explosive guard like (Eric) Devendorf. You wouldn't really describe Dondon as explosive this late in his career, but Devendorf didn't score on him in overtime. So that's impressive." How about him? Can you still make those threes like used to? "May be free throws, that's about my range right now," Compton laughed. "This tummy won't let me get up to shoot threes."